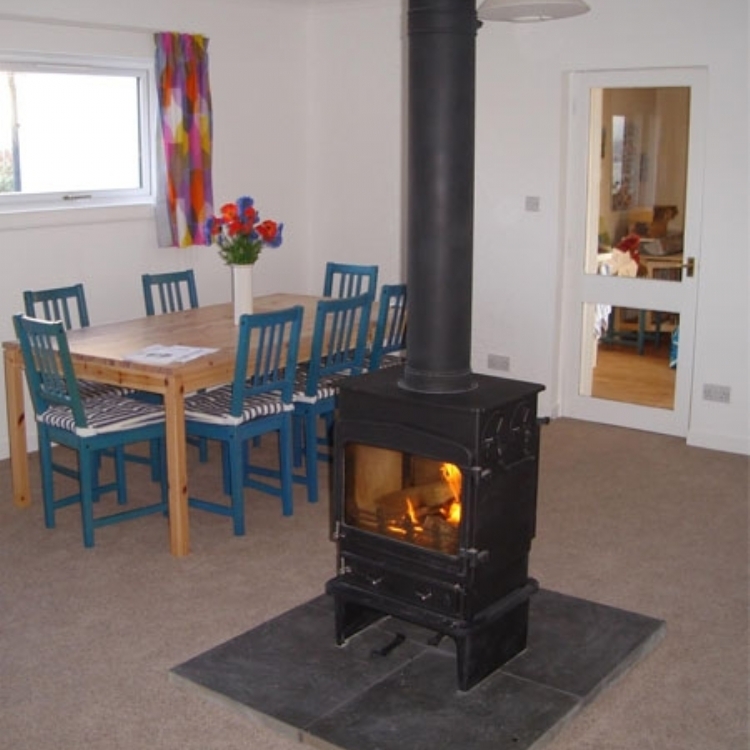 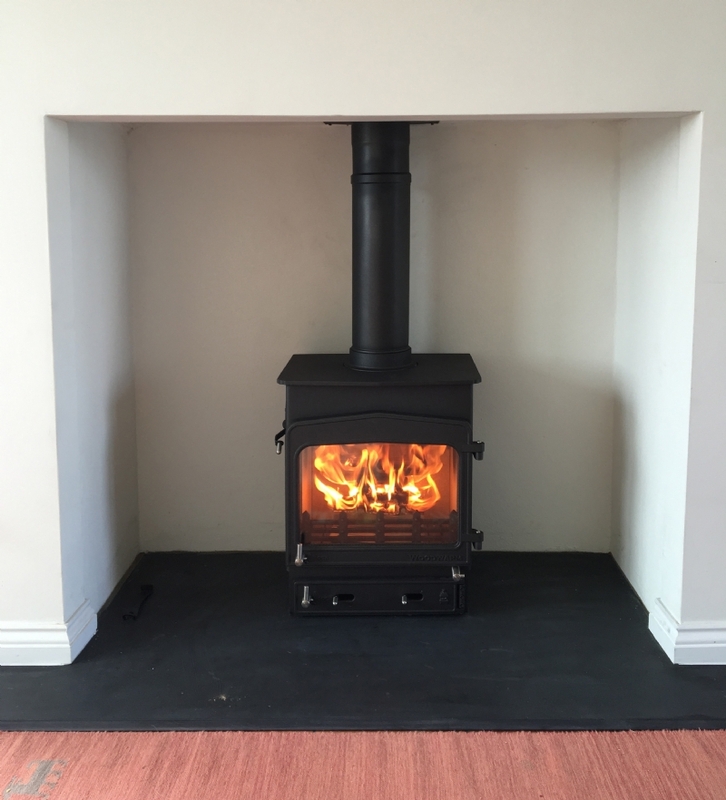 Woodwarm Fireview in a moden fireplace wood burning stove installation from Kernow Fires. 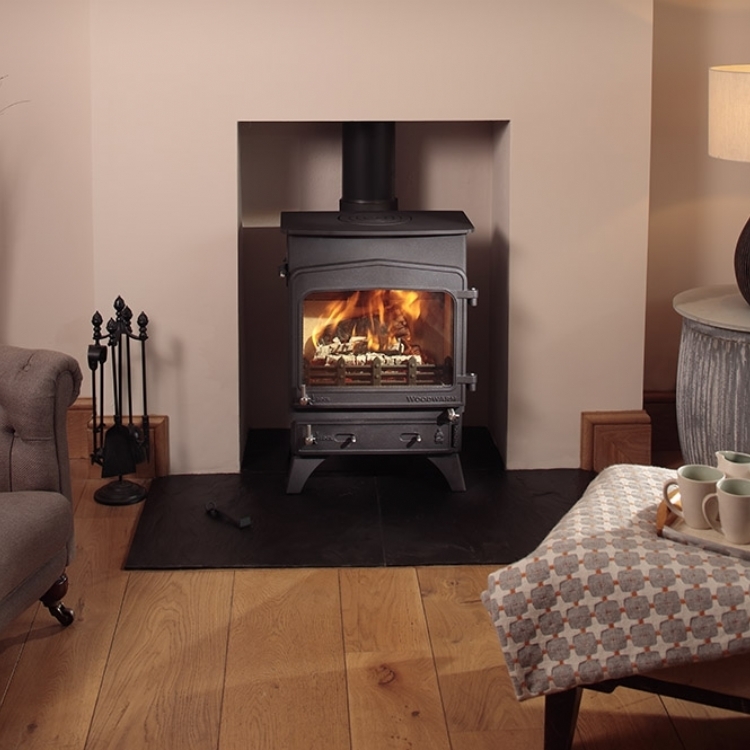 The Woodwarm Fireview Slimline is great for this large fireplace. 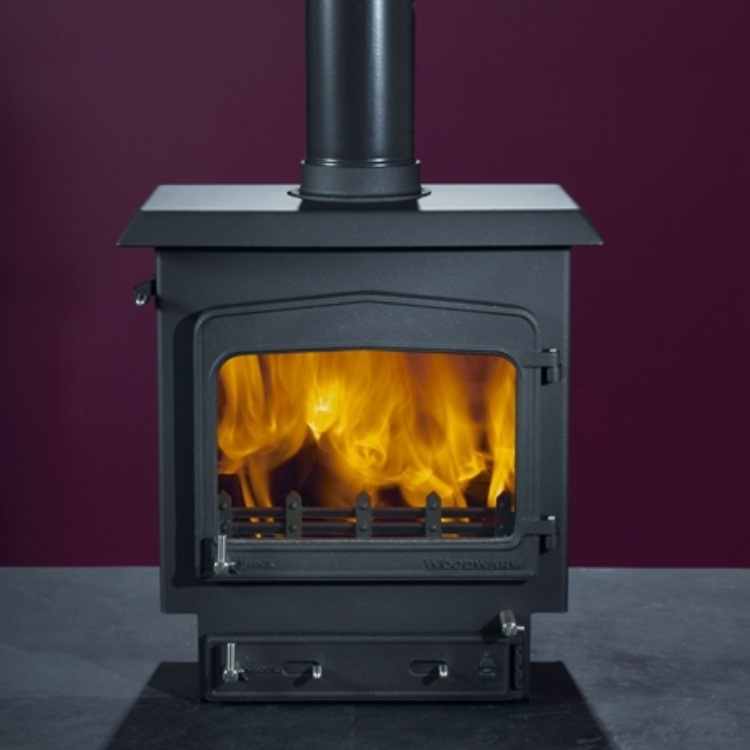 The wide fire is shallow and so only produces 5kW but still has the large fuel which gives the great flame picture.